Certain models of the Ford Focus Hatchback come as standard with the SYNC 3 nav system and DAB radio/CD, an 8" colour touch screen, Bluetooth, emergency assistance, advanced voice control and 6 speakers. SYNC 3 is a new interface with larger buttons for improved usability, it is faster, easier to use and also features AppLink, Apple's CarPlay and Android Auto, to display your smartphone's information on the touchscreen. Active City Stop is able to help the driver avoid a collision in slow-moving traffic by continually measuring the distance between you and the vehicle in front. If the system detects the vehicle in front has reduced its speed, it will automatically apply the brakes for you. 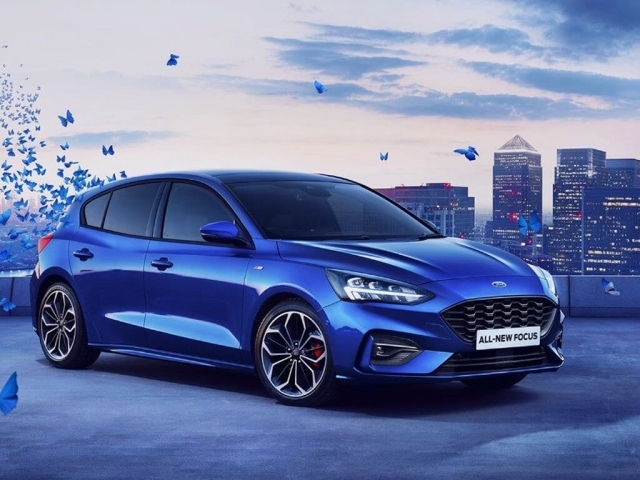 The Ford Focus engine range has been made to help reduce both running costs and emissions while delivering rewarding levels of power and performance. The line-up now includes 1.5-litre EcoBoost petrol and 1.5-litre TDCi diesel engine options, both of these include Auto-Start-Stop. Ford have make sure the fuel-economy figures have been further improved across the range and one version of the powerful 1.0-litre EcoBoost engine already reduces emissions to less than 100 g/km CO2.